Did you know that the average American family spends almost $2,000 each year on home utility bills? Heating and cooling systems represent the largest portion (54%) of their total costs. This is why a growing number of homeowners seek more effective ways to incorporate energy efficiency into their homes. Energy loss stemming from an old roof can be responsible for up to 25% of your overall bill. You can’t afford to ignore the importance of installing new roofing in Fairfield, CT, because it will help you gain significant energy savings in the long run. Vinylume explains everything you need to know about energy-efficient roofs. Energy-efficient or cool roofing systems are specifically engineered to reflect the sun’s heat instead of absorbing it. Unlike traditional roofing materials that can only reflect 15% of heat and light, cool roofs can reflect up to 65% of the sun’s rays. This quality helps keep your home cool and comfortable during warm months. Insulation and Ventilation – Attic insulation and window replacement are two of the most common ways to increase your home energy efficiency. 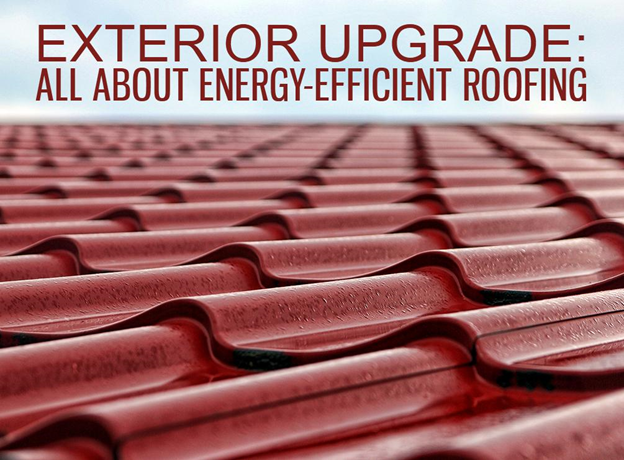 However, you should not underestimate the energy-saving benefits of cool roofs. A quality roofing system with proper insulation and ventilation makes a huge impact on your home’s efficiency and climate control. Temperature Management – The right shingles can increase the SPF factor of your home. With a higher SPF rating, your home can prevent unwanted heat gains. Ice Dam Prevention – During winter, you’ll want your home to be comfortably warm, which is why the use of heating systems might be necessary. When heat leaks out the roof, however, it can lead to ice dam formation. A cool roof provides the right amount of insulation, so heat will stay indoors during the cold months, preventing the development of ice dams. At the same time, your interior will remain cozy without too much work from your utility systems. Vinylume is among the top roofing contractors in White Plains, NY. We are the leading source of energy-efficient roofing systems in the region, which includes GAF®’s Timberline® Cool Series shingles. To experience these benefits and more, call our experts at (866) 244-8029. You can also complete our form to get started.